This year Roseland gig club put on their event over the hill in Portscatho. 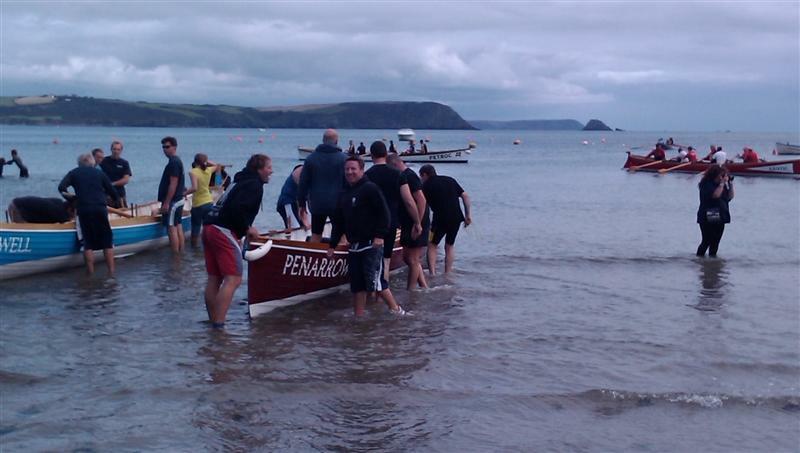 A top location if a little tight for access and with great views of Gull Rock and Dodman head providing the scenery. The Mens B race was first on the sheet with our vets crew of Barry, Paul, Mark, Sean, Trevor and Ron putting in a good performance to take 7th place. 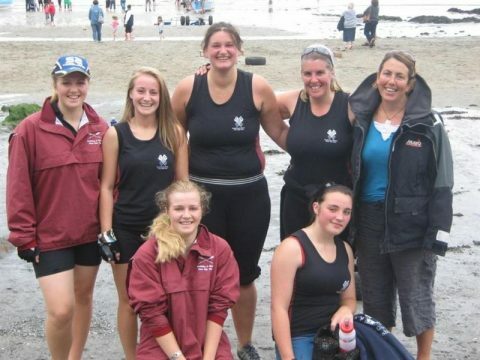 Ladies B were unable to attend so Ladies C were the Bs for this event and also took an excellent 7th place in their race. 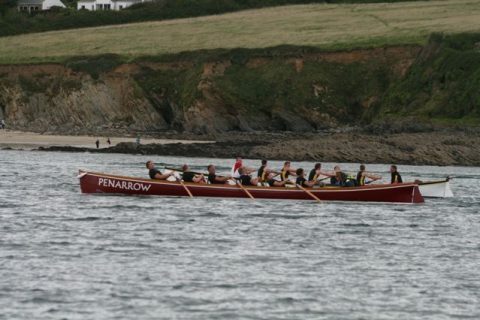 Mens A used the race to try out an alternative seating arrangement for the crew and like at the Cadgwith regatta a few weeks back had another great race with Padstow A (this time in Petroc) to take 6th with the rudder of 5th placed Mounts Bay A in Rhos just in front of Penarrow. Padstow started well and led Penarrow into the first mark but on the leg home the Flushing & Mylor crew ground their way back alongside then went ahead with a few hundred yards to go – another close finish for these two crews. Ladies A were slightly depleted and two of the Cs stood in, no doubt tiredness played a big part as they were towards the back of the pack. 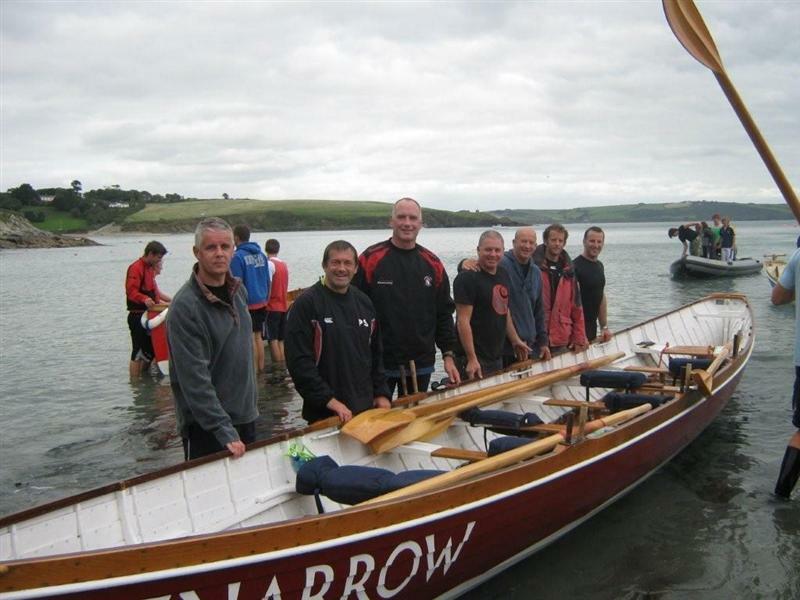 Vets race meant the same crew as MensB go round the buoys again, this time taking 5th place. A top event, so many thanks to Roseland and the sliced beef was excellent value at £2.50.